We came to Key West for some RR. We had some playing golf and others scuba diving and some just lazed by the pool. Was a great place. Clean, nice decor and the pool was so nice to have. Some things need attention. The deck is in disrepair and not safe without sandals due to nail heads protruding. The lower bed is not comfortable and noisy with any turn. The location was great. The quiet end of Duval and right next to a wonderful little French breakfast restaurant with amazing pastry and coffee and food. We had a great time and would recommend this property. I hope that the owners make an improvement in the deck. We rented Pete's cottage 505 for 4 nights. We were very pleased with the rental amenities, location and interaction with KW Rentals. The property was not "oversold" regarding the quality of the property, one note I would suggest they edit on the website is in regard to having a washer/dryer in the cottage. It was not listed as having so we expected to have to go to a laundromat but upon arriving discovered that they were included with the rental. Fantastic Experience! 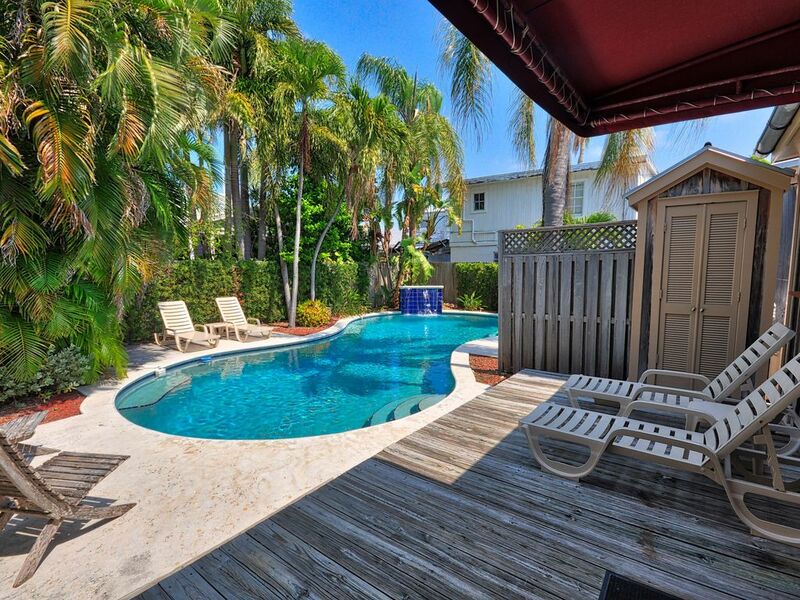 Private Paradise just steps from Duval! Everything was seamless, Rent Key West did a great job explaining everything to us and their offices were only 2-3 blocks away from our place. There was a gentleman at the location fixing the towel rack which surprised us at first, but he was nice and was gone within the first 10 minutes of our arrival. Overall great experience, we really loved the pool area! Two adults and two teens fit perfectly in this cottage. The location was great, pool was perfect and the quaintness of the cottage was relaxing. Don&#x2019;t bother with a car, parking all over is rough. We rented bikes to get around Key West and called an Uber as need to travel further from town.